What it is: This is one of my son's drawings. It is a rhinoceros. But, it is not just any rhinoceros. This is a special animal. His name is Henri. More specifically, his name is The Squishy Pawed Henri. Henri is my son's favorite stuffed animal. One of our friends bought it for him when he was born, and he has latched onto it for over five years now. He likes it so much that my wife and I bought two extras, just in case we lost one. We cleverly thought we could switch them out one at a time, but our son quickly caught on to the ruse, and he insisted on having all three of them. He did, in fact, lose one (at a zoo, coincidentally), so there are two remaining Henris. One Henri has one paw that is squishier than the other. Hence the name. My son did not know why Henri was flexing his muscles in the drawing, or why he was frowning. one on the left is the one with the squishy paw. @mwachtel Front "feet" like a cow. Rear legs like an elephant. Head like some sort of bug. And the 'x' in the crotch? Not sure! @mwachtel A very strong hippo. @mwachtel It looks all the world like a rearing rhinoceros, to me.
.@mwachtel A RiNo wiping out on this morning's ice. @mwachtel What is Tintin wearing? A turtle cloth? @mwachtel The Broncos winning the Super Bowl. What you might have missed: My son's drawing was actually one part of a set of two drawings. What do you think the differences are between the two drawings? Would your response have been different if I had used the other one in my original tweet? To me, the two next to each other look like Peyton Manning getting ready to throw a touchdown pass to Wes Welker. US Representative Michael Grimm Issues Death Threat To Reporter. In The US Capitol. On Television. Representative Michael Grimm, from his website. Be wary if he asks you to meet him on the bridge in the background. Representative Michael Grimm (R- NY) made headlines after the State of the Union speech last night. A reporter was about to ask him a question about a campaign finance investigation he is going through, when Representative Grimm stormed off camera. He came back seconds later and told the reporter he would throw him off the balcony and "break" him if the reporter ever did that again. What would cause any person, let alone an elected official, to issue such a threat, which is most likely illegal, in the US Capitol building? Chances are, Representative Grimm is under a lot of stress. Whether he did anything wrong or not, his campaign finances are being investigated. He is working in one of the most hostile Congresses the US has ever experienced. He just listened to the opposition party leader (aka President Obama) deliver a 70-minute speech on primetime television. All of that can add up to a good deal of anxiety and anger. But, many people are stressed out and angry, and they do not threaten other people's lives. For Mr. Grimm, there must be more to the story. Maybe it is an impulse control problem. Maybe he grew up in circumstances where threats of physical violence seemed normal and appropriate. Maybe he is just a jerk. The statement his office released explaining the incident is somewhat telling. He reported he was "extremely annoyed" that he would be asked a question that had nothing to do with the President's speech. He blamed the reporter, who he said "knew I was in a hurry...but insisted on taking a disrespectful and cheap shot at the end of the interview." He went on to say, "I verbally took the reporter to task and told him off , because I expect a certain level of professionalism and respect, especially when I go out of my way to do that reporter a favor." His statement has many of the hallmarks of an angry individual who is prone to violence. He blamed the reporter for his angry outburst, taking the responsibility of the threat off of his shoulders. He also said he was trying to help the reporter and then minimized his threat (threatening to throw a reporter off a balcony is not verbally taking him to task--it is threatening to kill him). As of the writing of this post, Representative Grimm has not made any more public comments on his threat from last night. I do not know if charges will be pressed, but I am certain this is not the last we will hear of the incident. UPDATE (10:30am MST): 9 News political reporter Brandon Rittiman informed me that Representative Grimm has now apologized to the New York reporter he threatened. According to USA Today's On Politics blog, which was updated around 12pm EST, Mr. Grimm called the reporter this morning to apologize and issued a statement saying he was wrong. The wording of his statement was interesting. He said, "I'm a human being and sometimes your emotions get the better of you...when you're wrong, you're wrong. You have to admit it and it shouldn't have happened." Notice how he said he is a human being and your emotions get the better of you? Notice he said when you're wrong, you're wrong? You have to admit it? On the surface, this sounds like a good apology, but when he switches from talking about himself being human to talking about you needing to admit you are wrong, he is distancing himself from his actions. He could have been talking about anyone at that point. A better, more heartfelt apology would have included the words, "When I'm wrong, I'm wrong. I have to admit it." From a psychological perspective, I don't think he's quite willing to admit he did anything wrong yet. 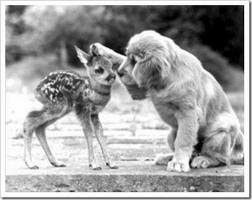 This dog is showing the fawn compassion, not empathy. On the surface, all three words sound like they mean the same thing, but they do not. It is possible to have empathy for another person but feel no sympathy for that individual. It is equally possible to show someone compassion without having any understanding why that person is feeling the way he/she is feeling. Of course, all three concepts are related, and a person who is more empathic is likely to be more compassionate. But, it is not right to lump them all together as if they are the same concept. For example, there is no reason why a person would need to have sympathy (sharing a feeling of anger, for example) in order to have empathy. After a thorough understanding of a murderer’s life circumstances, a judge might be able to understand why the murderer was angry and why he felt he needed to kill his victim. But, the judge does not need to share those feelings with the murderer. The judge may not even need to feel compassion toward the murderer. But, the judge will be more likely to make an informed decision about the murderer’s sentence by having empathy. Empathy is not a free pass. It is a tool we can use to get along with others. However, when we conflate empathy with compassion and sympathy, it can actually cloud our judgment and cause us to make decisions that do not benefit society as a whole. From now on, think of empathy as an intellectual exercise and as something a person can have for one another. Sympathy and compassion are feeling states, and they are something a person can feel for one another. Developing empathy does not mean turning into a pushover. In fact, it can lead to great strength in conflictual and moral situations—understanding where another person is coming from is crucial. But, that does not mean the empathizer needs to feel sorry for others or feel sympathy when no sympathy is due. Teaching empathy is not about pitying others. It is about helping people regulate their emotions and have empathy toward others in order to grow into strong, mighty individuals. Here is today's Friday Rorschach. It is one of my daughter's. Tempera paint on paperboard. Titled The Bullfight, Part II. What it is: A few weeks ago, my family went to the Denver Art Museum. The kids love visiting the museum, and my wife and I enjoy seeing them get excited about art. In particular, my son enjoys the Oceanic Art section of the museum. I'm not exactly sure why, but he loves the wooden carvings, and there is one in particular that stands out for him. It is the prow of a canoe, and it contains a bust of a creature who is sticking out its tongue. My son calls it "the Bleh guy," because he imagines that is the sound this creature is making. On the wall next to the entrance of the Oceanic Art section of the museum used to hang a huge Vance Kirkland painting. It was recently replaced by another painting in the museum's collection, and as we walked by it, my daughter and I stopped to take a closer look. The new painting is The Bullfight, a 1959 painting by Elaine de Kooning. It is a vibrant, abstract painting with a tremendous sense of movement and vitality. We both really liked it, but we quickly moved on to see The Bleh Guy. The next day, my daughter created what is this week's Friday Rorschach painting. It is her rendition of de Kooning's work. 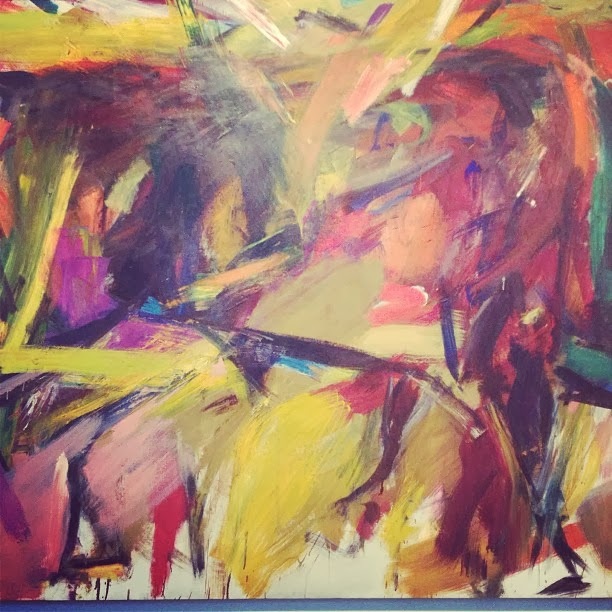 She told me she didn't actually see a bullfight in de Kooning's painting (when it is small, it seems rather obvious, but when you are standing a few feet away from the original, any sense of form is overwhelmed by the color and movement of the brush strokes). But, she liked the colors, and she enjoys painting abstractly. She also told me she only used vertical brush strokes because she didn't want to "mess up Mommy's paint brush." There is absolutely no intention of form in my daughter's painting. She just wanted to riff off of a work she saw in a museum the day before. Several of you picked up on the blue color and thought it was water. A few saw the red as fire. @mwachtel apart from thinking the blue is water/rain, I'm at a loss. Unless they made a mistake and this is the lovely upshot? @mwachtel First impression: A fire being put out with water. @mwachtel Rain putting out a prairie fire. @mwachtel Lots of people huddled together for strength whilst being attacked? @mwachtel a happy, confident and we'll adjusted little kid's way of expressing his love for EVERYTHING! @mwachtel The sunrise after the Broncos win the Superbowl. What you might have missed: Either due to the constraints of Twitter or my bad photography skills (or a combination of the two), it is difficult to tell that the painting has been folded in half. My daughter finished the painting and then wanted to press one side onto the other, creating an inkblot effect, just like Hermann Rorschach did when he created his psychological test. If you look at the painting again, you can see some of the blue from the left side of the painting reflected onto the right side. And, you can see a crease roughly down the middle. What do you think it means that no one mentioned the reflection? And, as a side note, you might remember that my daughter folded a previous Friday Rorschach painting in half. That time, she did it to signify that she had "messed up" her painting. This week's fold has an entirely different meaning for her. Also, you might notice there are some small letters printed vertically on the left side of the paperboard. That has nothing to do with the artwork. That was printed by the company that manufactured the paper (it is the inside of a package of crackers). Thanks for reading. Until next week-- Max Wachtel, Ph.D. 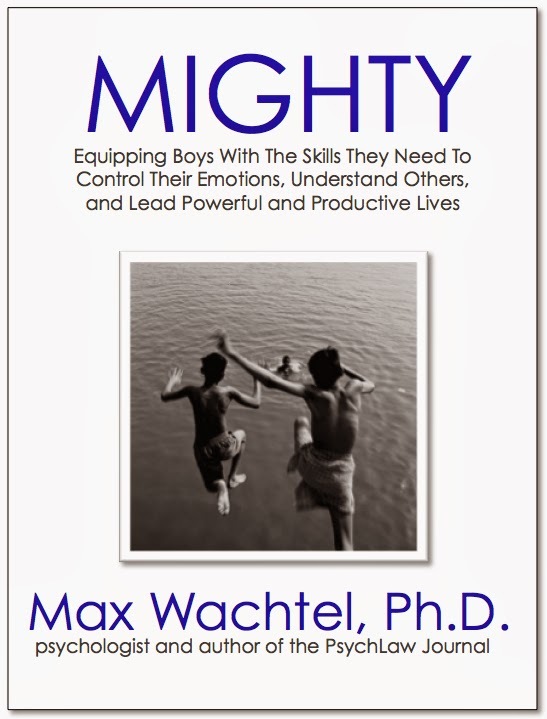 Here is the trailer for my new book, titled Mighty: Equipping Boys With The Skills They Need To Control Their Emotions, Understand Others, And Lead Powerful And Productive Lives. As many of my readers already know, the book had a different title when the video was produced, so don't let that alarm you. 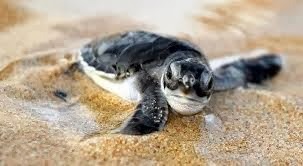 In the book, I start with a story from my childhood, where a group of friends and I find a turtle. We play with the turtle before school starts, and then something unexpected happens. I use the story to illustrate the power of empathy, controlling emotions, and critical thinking skills in boys. If my nine year-old self had had the skills I have now, the turtle story would have ended differently. 1. There are major differences between empathy, sympathy, and compassion. 3. Before you can teach a boy to regulate his emotions, you must be able to control your own. 4. Improving a boy's empathy ability at a young age improves his job performance later in life. 5. Boys who control their emotions and understand other people have more (and better) friends. If you are interested in learning more about Mighty, please visit www.maxwachtel.com. You can also provide your email address to be notified when the book is available. As an added bonus, anyone who provides their email address will have access to an advance copy of the book. 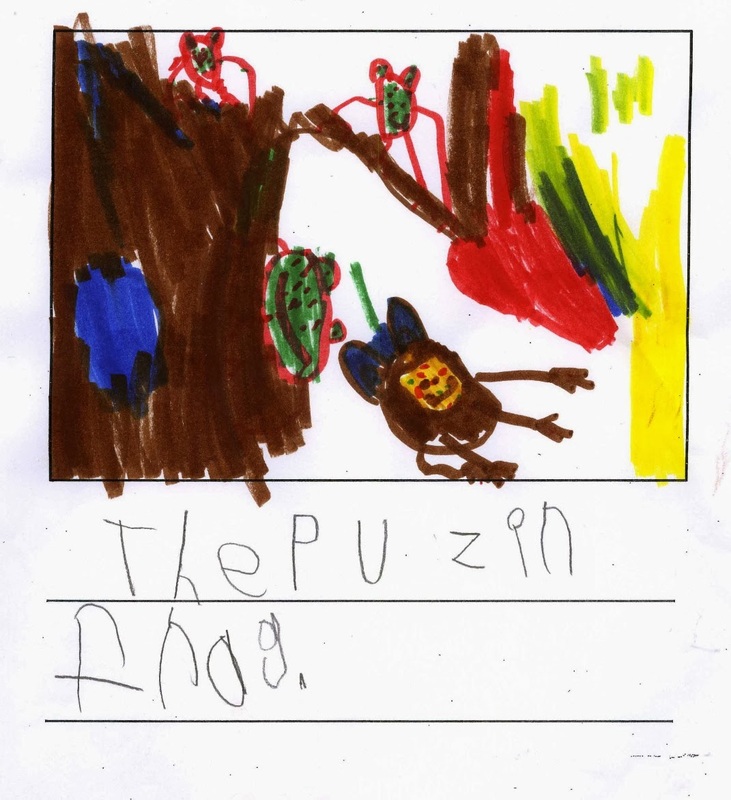 This is one of my son's drawings from the beginning of kindergarten. 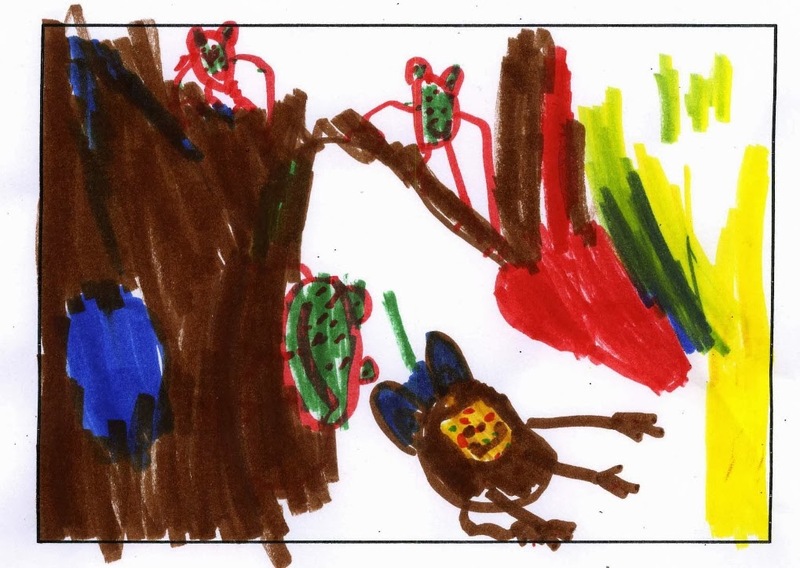 If you can decypher his writing, he titled the drawing, "The Poison Frog." I didn't want this to discourage the creativity of your answers, which is why I initially cropped out the writing. My son told me the three green frogs are the poison frogs. He said two of them are sitting on branches and one of them is climbing the tree. The brown, yellow, and blue object at the bottom of the picture is a "regular tree frog" that is hopping. He said he wanted it to have "fancy" freckles. He did not know why all of the frogs are smiling. The red mark toward the right of the picture is a leaf. He said the yellow and blue colors on the right were either "a reflection from the sun" or "I don't know." The blue on the left is "a decoration" for the tree. What you thought it was: Just about everyone commented on the frogs. And, most people saw some sort of movement and action in the drawing. But, there were mixed reactions in terms of what that action was. @mwachtel The flies have decided to eat the frogs for revenge. @mwachtel A bat flying under frogs in a tree with dawn breaking. @mwachtel I'm a celebrity get me out of here. @mwachtel Tom Brady on the ground? What you might have missed: Most people did not mention the red, blue, and yellow colors on the right side of the drawing. And, no one mentioned anything about the coloring that was outside of the lines. In fact, no one mentioned the rectangle framing the picture. No one mentioned the expressions on the frog's faces. Thanks for reading. Until next Friday-- Max Wachtel, Ph.D.
Doctors who are more empathic are more competent. Engineers who are empathic are better problem solvers. Empathic attorneys earn their clients more money. Business leaders who are empathic make the best and most ethical business-related judgments, despite business students consistently ranking empathy lowest in importance when presented with a list of leadership characteristics. Salespeople who are empathic sell more. Empathic construction foremen are better at their jobs. Truck drivers who are empathic kill fewer horses on the side of the road (seriously). You get the point. If you are interested in learning more about the book, click on this link to review the Table of Contents and provide your email to receive a notice when it is ready for purchase. The book is a practical guide for parents and educators who are interested in teaching boys to unlock their potential and grow into responsible, mighty men. Here is today's Friday Rorschach drawing. This one was one of my daughter's. What it actually is: It started out as a landscape. the dark blue on top is the sky, and the sun is in the upper left corner of the page. You can see the beginnings of grass at the bottom. My daughter told me the "P" in the middle is actually supposed to be a girl's head. The girl has long hair (the stem of the P), and she is looking to the right. My daughter did not know what the girl was looking at. But, she told me she "messed up" the painting of the girl's head (she did not say how she messed it up), so she stopped painting the girl. She tried scribbling out the girl's head by smearing the blue from the sky over it, and then she folded the painting in half (to signify she had messed up). When I first saw this painting, I thought my daughter had meant to do everything that ended up on the page, so I was surprised to hear that she interrupted the painting because it was not turning out the way she wanted). @mwachtel A bat caught in a tree.
.@mwachtel A traffic jam on a bridge. @mwachtel "I've weed in the sea/swimming pool/bath"?! What you probably missed: Without seeing the painting in person, it is difficult to see the texture of the paint. Not to brag, but my daughter did a great job of layering the paint in the sky to create a foreboding, ominous feel. That is mirrored in the girl's hair. By contrast, lighter blue brush strokes are very thin and flat, giving the appearance that they are behind the girl. In the last 72 hours, 4chan users played a joke on the internet. 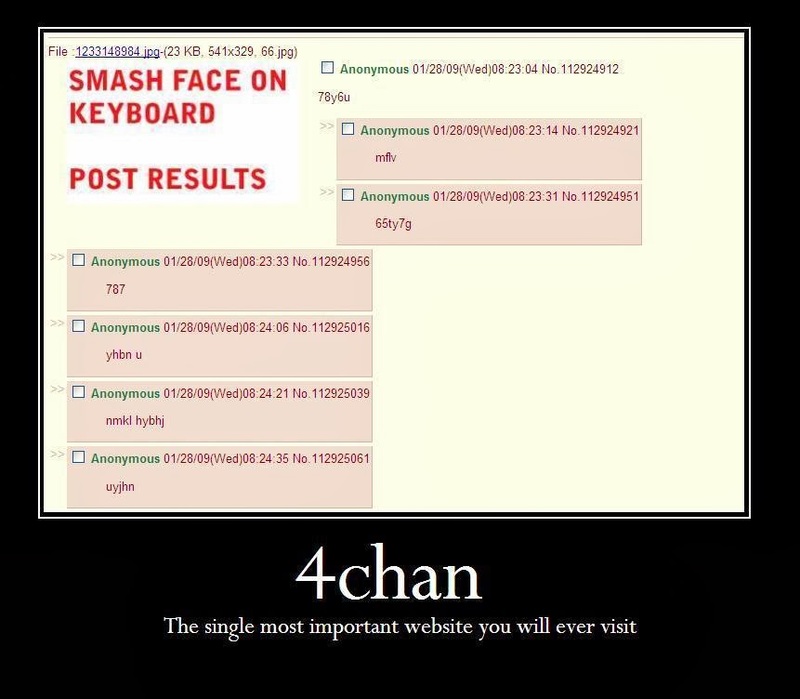 For those of you who do not know what 4chan is, it is kind of like Facebook for trolls. People can post anonymously to the site, and it seems to be a place where people conspire with one another to make others upset. Hence, the "bikini bridge." A 4chan user thought it would be funny to make this term go viral by hyping it on social media sites. Essentially, a bikini bridge is caused by the hip bones pushing a tight bikini bottom away from the skin because a woman is so thin. if you search for "bikini bridge," you will find a ton of pictures. I am not going to post any of them here. The 4chan users executed their hoax brilliantly. They opened fake twitter accounts that looked like celebrity accounts, and they posted pro-bridge messages. A few hours later, they started posting anti-bridge messages. From there, the whole thing took off. People thought it was a real thing. The problem is that it might actually be a real thing now. Girls and women, who are constantly barraged by negative messages about how their bodies look, now have another unhealthy ideal to attain. To be clear, some women's bodies will naturally create a "bikini bridge." Most, however, will not. But, if you starve yourself long enough, your body will probably respond. At the very least, you can feel shame about not being perfect. The brilliance/evilness of the 4chan plot to create the "bikini bridge" phenomenon is that it is completely believable. It sounds like the type of thing that would catch on in a society so obsessed with physical image. My recommendation to girls and women: ignore the bikini bridge. It was a cruel joke played on you, and if you buy into it, you are just giving power to the trickers behind it. The following post is an excerpt from my forthcoming book, Mighty: Equipping Boys With The Skills They Need To Control Their Emotions, Understand Others, and Lead Powerful And Productive Lives. My goal with the book is to redefine male power to include research-based factors that actually increase a boy's ability to develop into a responsible adult, maintain control over his life, and improve the world. In that vein, I cover a number of topics that often take the blame for all of society's ills. This particular excerpt has to do with guns. Are they good for boys? Are they bad? Are they somewhere in between? Spoiler alert: they are somewhere in between. There is no way to know exactly how many guns are in existence in the United States, but the FBI estimates it is likely somewhere between 200 and 300 million. That is almost one gun for every American man, woman, and child. A growing number of people are arguing that guns are to blame for aggression and violence in boys. If the guns weren’t there, boys would not be so dangerous. After all, more Americans now die in gun violence than die in car crashes every year. Children die accidentally from guns. Shooters bring guns to school. Husbands kill wives and then themselves. Isn’t it possible that guns are the problem? Many boys first experience toy guns at a young age. What does that do to their aggressiveness? In 1992, researchers from Brandeis University studied thee to five year-old children and the effect toy guns have on their level of aggression. They found a relationship between these children playing with toy guns and real aggressive behavior (as opposed to play or pretend aggression). The kids who played with toy guns were also the kids who were more aggressive. So, there you have it. Toy guns lead to aggression in boys. Except, maybe not. In the study, these researchers found correlations between toy gun play and aggression. That does not mean toy guns cause aggression. It could be that aggressive boys choose to play with toy guns as a way of working out their aggression. Or, it could be that something else causes both toy gun play and aggression. For example, these same researchers, in the exact same study, discovered a relationship between parental punishment and real aggressive behavior. The more extreme a parent’s punishment, the more aggressive the boy will be. Maybe that causes a boy to seek outlets for his aggression and anger, such as aggressive play with toy guns. In looking further into the research, the picture clears a bit. For example, researchers from the United Kingdom discovered that when male college students held and interacted with guns for a short period of time, their testosterone levels increased, as did their aggression toward others. By the time boys enter late adolescence, they understand the difference between real and toy guns—their testosterone and aggression levels only increased after handling a real gun. Other researchers have found similar results. One research team discovered that merely looking at pictures of guns increased aggressive thoughts in boys and men. 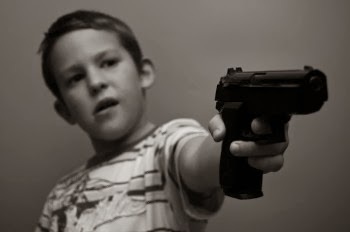 This same research team studied the phenomenon further and realized that both hunters and nonhunters had more aggressive thoughts after looking at pictures of guns, indicating that familiarity with guns does not necessarily cause a decrease in the level of aggression experienced in boys. Essentially, it has been known for decades that the presence of a gun increases aggression. It even has a name—it is called the weapons effect. Case closed—guns are bad. Except, that is not always the case. Researchers from the Netherlands studied the differences in aggression between members of shooting associations versus nonmembers. These individual’s personalities were studied separately from the presence of guns (in other words, they hadn’t just seen or shot a gun). The researchers found members of shooting associations tended to be less aggressive, impulsive, and neurotic than nonmembers. Other researchers discovered that the decision for adolescent boys to actually carry a gun revolved around those boys’ need for acceptance from their peer group and their level of aggression. It wasn’t necessarily that the guns caused the aggression in boys. It was actually the other way around—the boys who were more aggressive chose to carry guns. It didn’t hurt that these same boys often had friends who also carried guns. So, guns might be bad, but they might not be. From the research, it appears that boys who are trying to feel powerful will be more prone to want to carry a gun. But, boys who grow up with a familiarity with guns may be less aggressive than others (when guns are not present). With that in mind, it is also important to note that gun safety training works. For all boys. Of all ages. Training tends to work best for boys who engage in hands-on safety classes. However, merely discussing gun safety without guns present is helpful, too. Even radio public service announcements lead to an increase in gun safety. An important caveat to mention is that gun safety training is less effective for younger boys than it is for older boys. It still helps, but younger boys (ages zero to four) tend to have a hard time resisting playing with a gun if it is around. 1. Aggressive boys tend to be drawn to guns, no matter their age. 2. Guns increase aggression in boys who are not familiar with them. 3. Younger boys (up to age five or six) are at fairly high risk of playing with guns if they are available. No amount of gun safety training will completely eliminate this. 4. Gun safety training works extremely well for boys starting around age six or seven. 5. Familiarity with guns and shooting may actually decrease aggression and the dangerous weapons effect. If you want your boys to be raised around guns, that is fine, under the following conditions: Do not allow them to have access to guns without supervision, and take the time to teach your boys how to interact appropriately and safely with guns. Teach them yourself, and sign them up for gun safety classes. If you do these things, your boys will most likely be safe, and they will grow into responsible adults. They may even be less aggressive because of their appropriate gun use. If you don’t keep your guns away from unsupervised boys and don’t take the time to teach them to handle guns appropriately, you are part of the problem. Your boys will likely be more aggressive, and they will not improve the world. They will equate guns with power and control. They will also probably choose to spend time with other irresponsible, gun-wielding boys. Thanks for reading. If you are interested in learning more about the book, please visit my website. You can see the table of contents and sign up to receive an email when it is available for purchase. My son drew this one. It is one of the more obvious Friday Rorschach pictures--most people thought it looked like an animal--but there are subtle nuances in the drawing that intrigued me, so I thought I would use it this week. First things first. It is a teddy bear. My son told me he drew the arms crossed in front because he thought it was cute (this is also the same position my son stands in when he has waited too long to go to the bathroom). He said the line separating the head from the body is of no significance--he just drew the head first and then added the body afterward. @mwachtel Don't be silly, @CBPotts, that's the Easter Bunny paying tribute to Daddy Mac from KrisKross. Several people thought it looked more like an otter. Numerous people picked up on the crossed arms, thinking it signified proper manners. @mwachtel A bear sitting proper for his dinner guests. Only one person mentioned the mark on the left-hand side of the drawing. You might not even remember the mark to which I am referring. Scroll back up to the top. I promise it is there. @mwachtel Lost one ear already, the other one you can just see flying away, but it doesn't really bother me, tho. My son told me the mark was a mistake--he started drawing the head of the bear, but it did not turn out the way he wanted so he moved to the right side of the page. Why do you think it is that we adults so often choose to ignore those extraneous marks in drawings? Does that translate into ignoring the extraneous in our lives? And, there is one other aspect to this drawing that did not translate well on Twitter--If you look closely, you will see a faint drawing of a person. You can see the eyes, a pair of glasses, a neck, hair, outstretched arms, and a gigantic smile. My son drew that picture on the opposite side of the page, but it appeared very faintly in the photograph I took of the paper. Any guesses as to who he drew a portrait of? Friday Rorschach is a fun project designed to engage readers' creativity. To participate, follow Max on twitter. He posts the drawing every Friday morning around 10am ET/8am MT. Last week's Friday Rorschach drawing. What might it be? For the past month or so, I have been engaging in a Twitter conversation with my followers on Fridays known as "The Friday Rorschach." 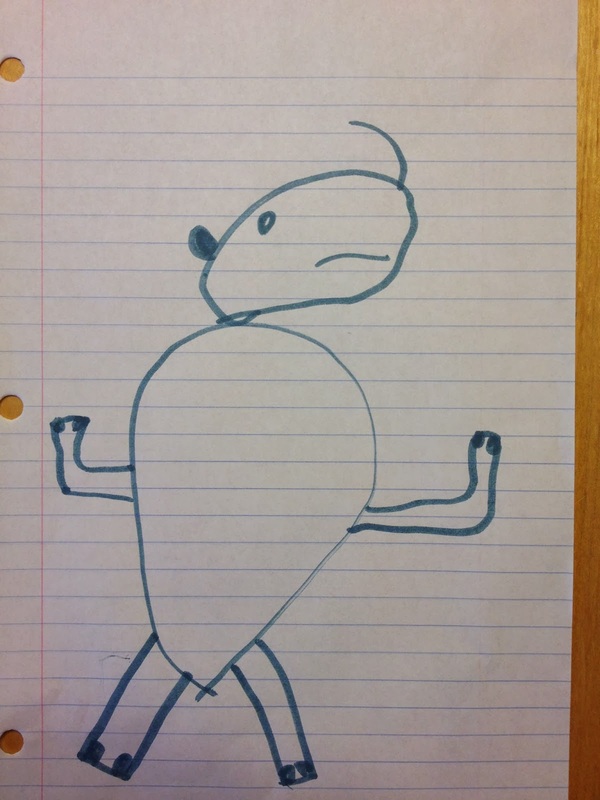 Essentially, On Friday morning I tweet a picture of a drawing from one of my kids. I include the text, "Friday Rorschach: What might this be?" And then, I collect a bunch of really interesting comments from my followers. My goals is fairly simple. I want to do something fun. I want to post a drawing and have people come up with clever, creative ideas for what it might be. Whereas the actual Rorschach inkblot test is a real psychological assessment tool psychologists can use to examine a person's personality and emotional make-up, the Friday Rorschach is supposed to be an enjoyable game. Instead of just keeping it on Twitter, I thought it would be good to make it a regular part of this blog as well. Here is how it will work. 1. On Friday morning, around 10am Eastern/8am Mountain I will tweet the picture. You can follow me at www.twitter.com/mwachtel to see the tweet. 2. You can respond to the tweet yourself, or you can view others' responses over the course of the next few hours. Make sure to search on #kiddrawing and include it in any of your responses. 3. 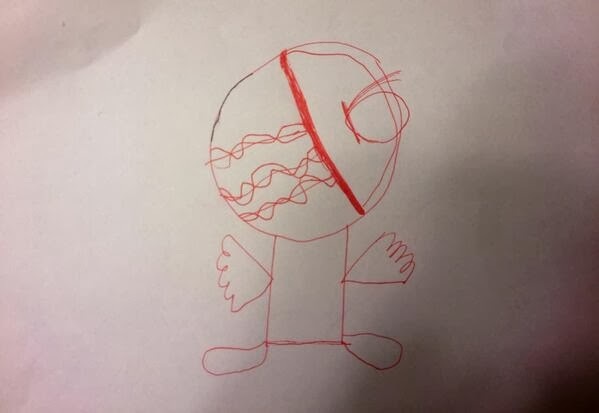 On Friday afternoon, I will post the picture to this blog, along with an explanation of what my kid was thinking when he/she drew it (sometimes, the thought process is more obvious than others), and I will also include some of the responses I've gotten from Twitter. 4. Everyone will love it (right?). So, get ready. I have a great picture all ready to go for tomorrow morning! By the way, last week's responses to the above picture ranged from angry fish, to angel wearing a mask, to alien robot, to Bane from Batman, to new South Park character. It is meant to be a flying ninja.